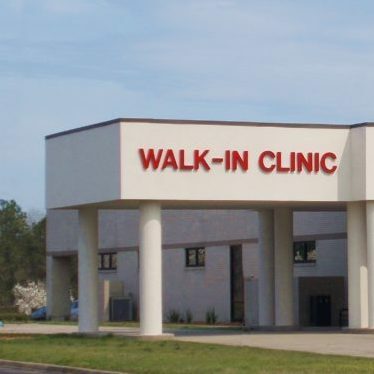 I would like to create a universal walk-in help center with a sign above the door that says, simply, GET HELP HERE. I would like to create the first of these centers in Las Vegas, and then develop additional Get Help Here centers in cities worldwide. I would like Get Help Here to be, basically, a ‘triage’ center where anyone who needs any kind of help at all will receive direction and guidance on where to go for the help they need, which could include literally anything, e.g., food, shelter, help overcoming an addiction, help with a mental health issue, help finding a local hospital, help developing a better social life, help pursuing one’s goals, help with being happier in life, etc. I would like the center to be staffed with folks who are skilled at helping people to identify where to go for what they need, and in giving people guidance as they navigate the process of seeking to get their needs fulfilled. For basic needs such as food and shelter, people would obviously need to be directed to outside resources such as soup kitchens and homeless shelters. For psychological needs, I would like Get Help Here to offer a unique kind of therapeutic coaching that I have been developing in my psychological practice in recent years, goals-focused creative psychotherapy. Goals-focused creative psychotherapy is a combination of traditional psychotherapy, life coaching, and creative arts-based interventions. The underlying theme of this intervention is that it is goals-focused, and in fact, helping people to get very clear about their values and their goals would be the most basic mission of the Get Help Here center. Goals-focused creative psychotherapy is an elaboration of a type of treatment called ‘solution-focused brief therapy’, which was developed by therapists who realized that traditional psychotherapy tends to keep people stuck in the past, just complaining about their problems over and over, so the ‘solution-focused’ approach was designed to place more emphasis on clients’ goals, and to help them find ways to actually improve their lives. My only critique of this approach is that it is still indirectly problem-focused, in the sense that focusing on a ‘solution’ still indirectly emphasizes a problem that needs to be solved. What I would like to do is completely change the game altogether by emphasizing from the get-go that my therapeutic approach is goals-focused. This way, we can still focus on the problems or challenges that are preventing clients from reaching their goals, but we will view these problems in context, i.e., simply as obstacles on a path that leads to the goal. ‘Problems’ really only have meaning in reference to the goals that they are obstructing. A ‘goals-focused’ approach places primary emphasis on the goal, and is a much more empowering way to help clients change their lives for the better. Even though I do already have several specific ideas, hopes, and intentions for the Get Help Here center project, I also intend to make this a very collaborative project, to partner with local agencies and individuals—and so therefore much of what this project will become will depend on the unique needs, ideas, and resources of the various individuals and organizations who work together to bring this into existence.